Joel Roberts is a civil trial lawyer who focuses his practice on eminent domain, commercial litigation, construction litigation and government contracts law. For more than 10 years, Joel has represented property owners and condemning authorities in eminent domain matters. 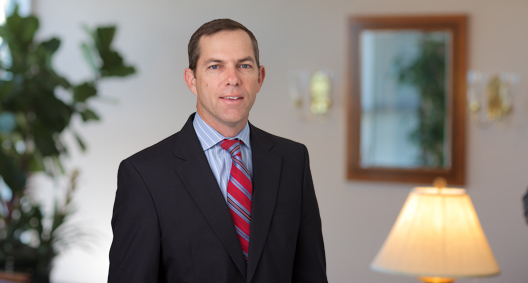 Joel also maintains a very active commercial litigation practice, where he focuses on representing defense contractors and design and construction firms in various government contracting, professional liability, construction defect and general business matters. Joel's broad litigation background greatly enhances his ability to represent property owners involved in property rights litigation. Joel is a graduate of the United States Military Academy and served as an officer in the United States Army. Joel currently serves as chairman of the board of a national consulting and engineering firm focusing on defense and public sector projects. Joel's diverse professional experiences provide him with a rich understanding of the challenges facing individuals and businesses, enhancing the advice and representation he is able to provide. Joel holds an AV Preeminent rating from Martindale-Hubbell and has been recognized as a "Legal Elite" by Florida Trend and a Florida "Super Lawyer." Resolved an inverse condemnation case in favor of the property owner, requiring a government entity to clear drainage ditches and canals to allow water to drain based on historic drainage maps. Client was also awarded its fees and costs. Obtained a settlement with the federal government for a property owner of more than $3 million on a crop insurance claim. Sued and tried the involved insurance agent for the remainder of the claim, securing an $850,000 result, including attorneys' fees and costs. Obtained a summary judgment ruling in a height ordinance case that allowed a developer client to construct a condominium in excess of height restrictions. Successfully represented a client in a patent and trade secret dispute resulting in an award in excess of $4.5 million.